Movie studios are doing it with superheroes – why can’t videogame companies do it with long running franchises? 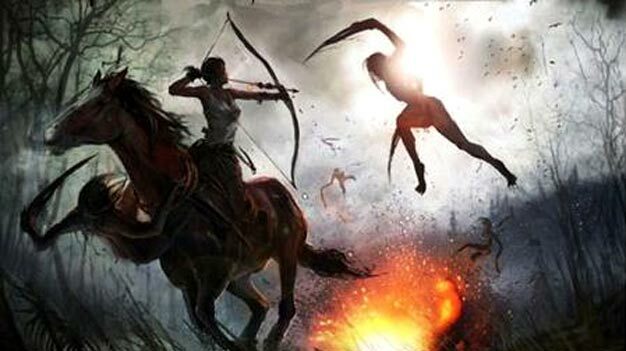 Rumors of a Tomb Raider reboot solidified recently with the leak of a Crystal Dynamics fact sheet concerning the title. The fact sheet supplies details of the game, which will act as an origin story of sorts and give some background for the tough-as-nails Lara Croft we know and love. Marooned off the coast of Japan after her research vessel sinks, Lara finds herself on an island occupied by “mysterious enemies” bent on killing her. Naturally, the game will thus be focused on exploration and survival. If the combat in the game is as awesome as the above conceptual artwork, this reboot could be something to watch for. Based on this description, it appears that the game would follow a progression similar to Metroid‘s, requiring the acquisition of new items to unlock areas. Crystal Dynamics had the fact sheet pulled from the interwebs soon after its leak and they continue to remain tight-lipped about any details for the project. The reveal is believed to happen next month.